Jenny is one of the smaller, quick to knit shawls. 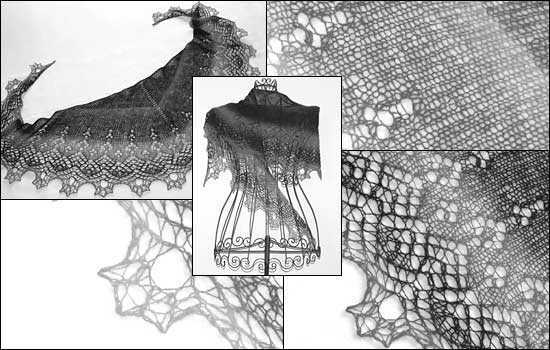 The main part of the banana-shaped shawl is knitted in stockinette stitch. The floral lace edging is easy to work.